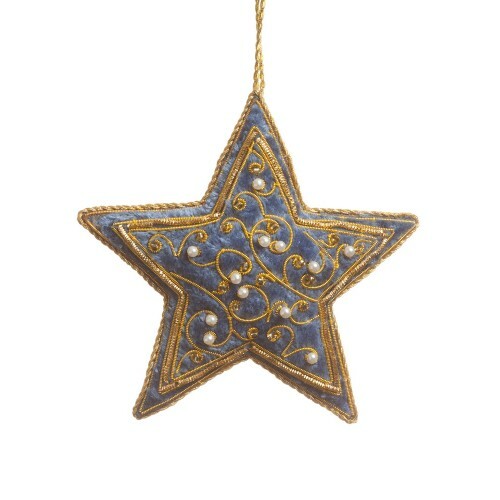 With delicate golden swirls and tiny pearls, this hand-embroidered Star will look beautiful on your tree. 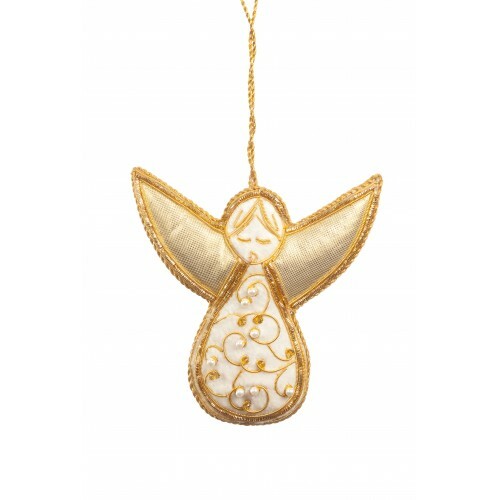 Hand-embroidered with delicate golden swirls and complete with tiny pearls, this little Angel will l..
Steel by name, but not by nature! 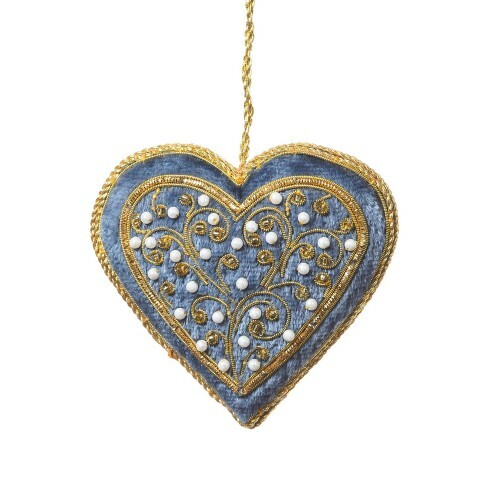 This heart is a subtle and beautiful option for those who might be..
Steel by name, but not by nature! 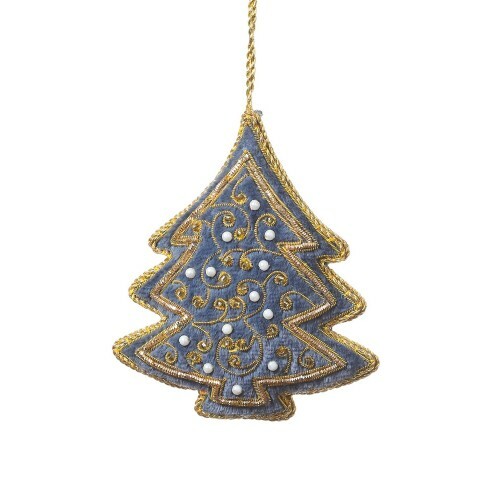 This tree is a subtle and beautiful option for those who might be ..